Mom bought this adorable panel, added 3 borders and "TA DA"!!!! 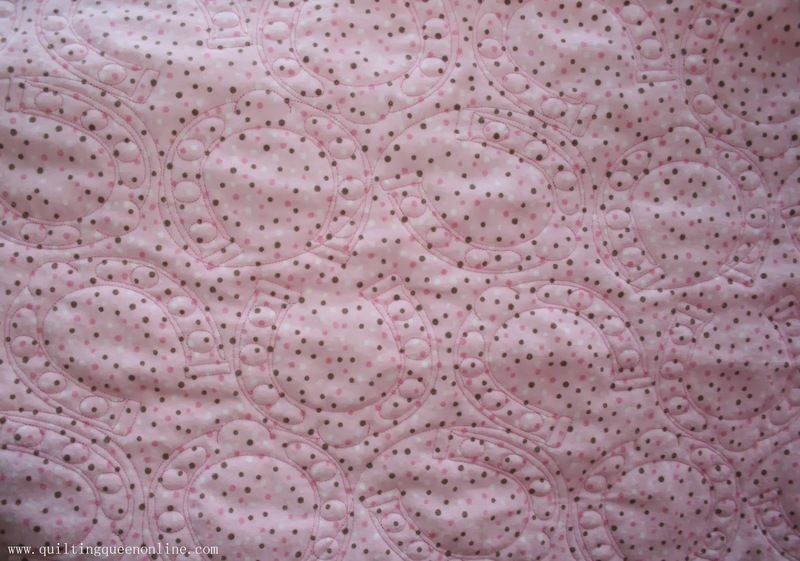 A quick and easy baby quilt. I quilted it this week and it's ready for mom to bind it. She might get lucky and finish it before Ashley goes into labor. Ashley is doing the baby room in a cowgirl theme so the panel is perfect. 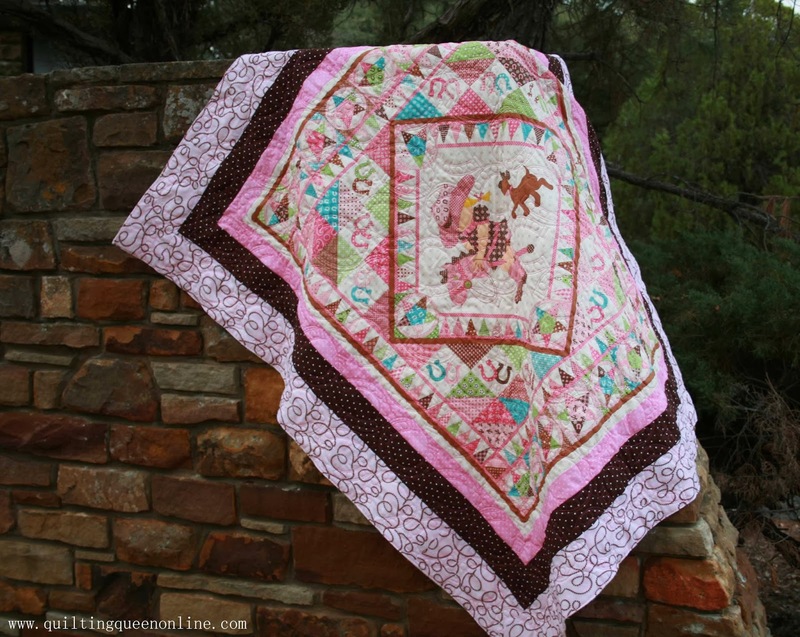 I quilted horseshoes on it in pink thread. Adorable! What a lucky little baby to have such talent in her family. this is so very adorable. so very girly too. I love the horse shoes you quilted. lovely touch. OMG ! 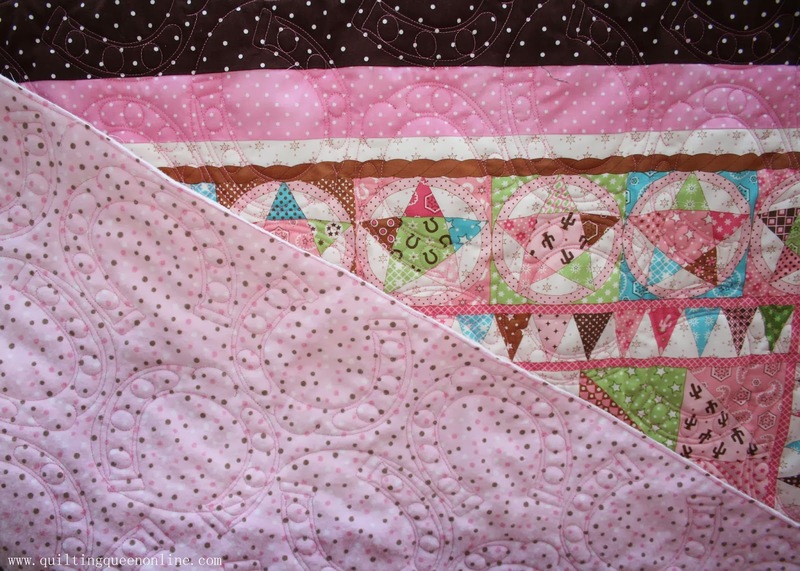 I love the horseshoe quilting....you sew clever !